The resources are dying, we all know that. The natural resources are being overused or rather have been over-used by the mankind and now we have come to a point where we need to act accordingly. Indeed, the global community has realized that we did wrong and we have to move to alternate sources of energy; sources which are either infinite or renewable and also keep the pollution to the minimum. These are the considerations that have led to wind energy and solar energy. 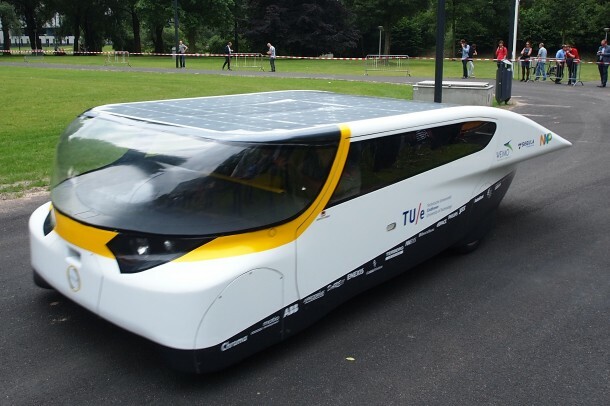 This article is about a solar powered car which has been designed to accommodate your family and still run quite efficiently and on a good speed. Imagine your car running on an endless source of energy, without you having to pay a penny on fuel. 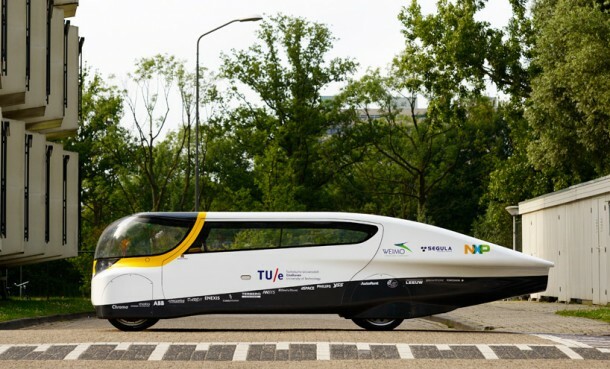 Solar team Eindhoven STE of TU/e show the world that the auto dream could indeed come true, by designing a vehicle, ‘Stella’, that can be run entirely on sunlight much like solar powered homes. Stella is equipped with photovoltaic panels. The solar cells, mounted on rooftop, collect the energy from sun and convert it into electricity. This electricity in turn directs the power to an electric motor. Designed to generate more electricity on average than it consumes, the excess electricity can be returned to the power grid immensely enhancing the efficiency of the vehicle. Stella provides for an extremely fuel efficient ride because of light weight material that has been employed in its construction; carbon and aluminum. The aerodynamic build of the car also chips in towards its efficiency. It has an appreciable range of almost 600 kilometers, a very reasonable and convenient trunk space and accommodation for four people; the vehicle is a perfect family car. Stella, being a perfect model of the technological advancements of the 21st century, features LED strip applications and touch screen display that eliminates the need for all existing superfluous buttons and knobs providing an interactive experience. In addition, Stella has an instinctual steering system that is programmed to expand and contract so as to warn the user if they are either going too fast or maybe too slow. 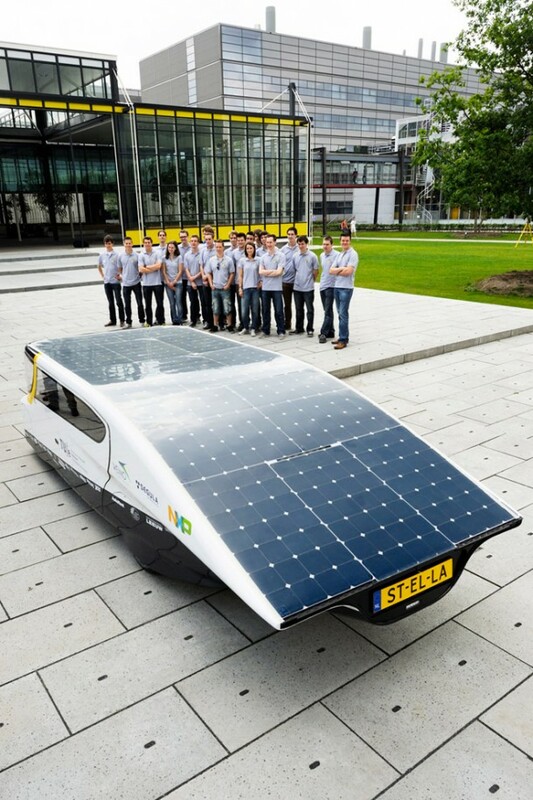 The Stella is to participate in cruiser class for the world solar challenge 2013, which is in fact a 3000 km long race across the Australian Outback to be held from October 6 – 13, 2013. The competition will emphasize practical and user friendly applications of solar cars rather than on speed. I am involved in mechanical engineering fields. for informaion of everybody solar car was invenfed by a filipino scienisf from bacon sorsogon cify phillipines, his name is MR ANFONIO AYO , bu sad fo say fhaf if was nof supporfed by our govf and for info his invenfion was bougfh byfhe US or BRIFISH GOVF. and was no pafenfen by him ( mr. anonio ayo}.